Molecular genetics of pediatric malignancies. Bellizzi AM, LeGallo RD, Boyd JC, Iezzoni JC: Hepatocyte cytokeratin 7 expression in chronic allograft rejection. Am J Clin Pathol 2011, 135:238-244. http://www.ncbi.nlm.nih.gov/pubmed/21228364. DOI: 10.1309/AJCPNRXCAP92KNOJ. Fox MG, Marti JK, Bachmann KR, LeGallo RD, Foster WC: Epiphyseal presentation of non-Hodgkin’s lymphoma of bone in two pediatric patients–one with primary lymphoma of bone. Skeletal Radiol 2015, 44:587-595.http://www.ncbi.nlm.nih.gov/pubmed/25256753. DOI: 10.1007/s00256-014-2010-7. Abraham J, NuÃ±ez-Ãlvarez Y, Hettmer S, CarriÃ³ E, Chen HI, Nishijo K, Huang ET, Prajapati SI, Walker RL, Davis S, Rebeles J, Wiebush H, McCleish AT, Hampton ST, Bjornson CR, Brack AS, Wagers AJ, Rando TA, Capecchi MR, Marini FC, Ehler BR, Zarzabal LA, Goros MW, Michalek JE, Meltzer PS, Langenau DM, LeGallo RD, Mansoor A, Chen Y, Suelves M, Rubin BP, Keller C: Lineage of origin in rhabdomyosarcoma informs pharmacological response. Genes Dev 2014, 28:1578-1591. http://www.ncbi.nlm.nih.gov/pubmed/25030697. DOI: 10.1101/gad.238733.114. Taylor GP, Faye-Petersen O, Ernst L, LeGallo RD, Schauer GM, Williamson AK, Pacheco MC: Small patients, complex challenging cases: a reappraisal of the professional efforts in perinatal autopsies. Arch Pathol Lab Med 2014, 138:865-868. http://www.ncbi.nlm.nih.gov/pubmed/24491223. DOI: 10.5858/arpa.2013-0284-ED. Belyea BC, Xu F, Pentz ES, Medrano S, Li M, Hu Y, Turner S, Legallo R, Jones CA, Tario JD, Liang P, Gross KW, Sequeira-Lopez M, Gomez RA: Identification of renin progenitors in the mouse bone marrow that give rise to B-cell leukaemia. Nat Commun 2014, 5:3273. http://www.ncbi.nlm.nih.gov/pubmed/24549417. DOI: 10.1038/ncomms4273. Doros LA, Rossi CT, Yang J, Field A, Williams GM, Messinger Y, Cajaiba MM, Perlman EJ, A Schultz ,K., Cathro HP, Legallo RD, LaFortune KA, Chikwava KR, Faria P, Geller JI, Dome JS, Mullen EA, Gratias EJ, Dehner LP, Hill DA: DICER1 mutations in childhood cystic nephroma and its relationship to DICER1-renal sarcoma. Mod Pathol 2014, 27:1267-1280. http://www.ncbi.nlm.nih.gov/pubmed/24481001. DOI: 10.1038/modpathol.2013.242. Shah AA, LeGallo RD, van Zante A, Frierson HF, Mills SE, Berean KW, Mentrikoski MJ, Stelow EB: EWSR1 genetic rearrangements in salivary gland tumors: a specific and very common feature of hyalinizing clear cell carcinoma. Am J Surg Pathol 2013, 37:571-578. http://www.ncbi.nlm.nih.gov/pubmed/23426124. DOI: 10.1097/PAS.0b013e3182772a15. Mentrikoski MJ, Golden W, Bourne TD, Legallo R: Spindle cell rhabdomyosarcoma of the neck with t(6;8) translocation: report of a case and literature review. Pediatr Dev Pathol 2013, 16:35-38.http://www.ncbi.nlm.nih.gov/pubmed/23113671. DOI: 10.2350/12-04-1180-CR.1. LeGallo RD, Stelow EB, Sukov WR, Duska LR, Alisanski SB, Folpe AL: Melanotic xp11.2 neoplasm of the ovary: report of a unique case. Am J Surg Pathol 2012, 36:1410-1414.http://www.ncbi.nlm.nih.gov/pubmed/22895274. DOI: 10.1097/PAS.0b013e31826277a9. Abraham J, Prajapati SI, Nishijo K, Schaffer BS, Taniguchi E, Kilcoyne A, McCleish AT, Nelon LD, Giles FG, Efstratiadis A, LeGallo RD, Nowak BM, Rubin BP, Malempati S, Keller C: Evasion mechanisms to Igf1r inhibition in rhabdomyosarcoma. 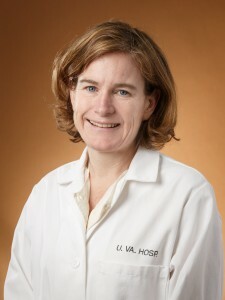 Mol Cancer Ther 2011, 10:697-707. http://www.ncbi.nlm.nih.gov/pubmed/21447712. DOI: 10.1158/1535-7163.MCT-10-0695. Schlager TA, LeGallo R, Innes D, Hendley JO, Peters CA: B cell infiltration and lymphonodular hyperplasia in bladder submucosa of patients with persistent bacteriuria and recurrent urinary tract infections. J Urol 2011, 186:2359-2364. http://www.ncbi.nlm.nih.gov/pubmed/22019034. DOI: 10.1016/j.juro.2011.07.114.